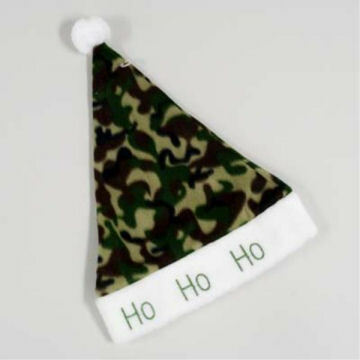 Be a stylish Santa in this Camo “Ho Ho Ho” Santa Hat. 100% Polyester. One size fits most adults (measures about 22" inches around the base).